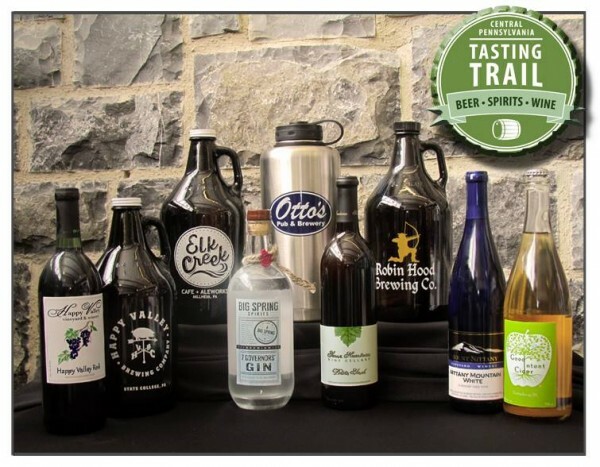 - The Central Pennsylvania Tasting Trail is a self-guided tour of award-winning breweries, wineries, cideries, and distilleries in Centre County. Tickets for the event are $20, and more information can be found at http://www.visitpennstate.org/eat/central-pa-tasting-trail/. Local Food Journey will have a full story on the event next week. - One of the area’s best-kept secrets is The World’s Fare Catering’s food truck, which makes regular appearances in parking lots around Science Park Road, and is even popping up at a few local events. They use locally sourced ingredients to create some real international flavor, such as regional Mexican, Texas BBQ, Thai, Middle Eastern, Classic French, Eastern European, French, Cajun, and regional Italian. I give a personal thumbs up to their delicious, hearty Portuguese sausage soup and their homemade thick cut onion rings. - The Philly Farm & Food Fest is one of the country’s biggest and best single-day food festivals with a focus on healthful, sustainable eating. The Fest features local farmers, artisans and regional experts in the agricultural and processing fields. Among the many exhibitors are several from Central Pennsylvania. For more information, please see their webpage. - There’s four more Fridays of the indoor version of the Downtown State College Farmers Market, held from 11:30 a.m. to 5:00 p.m. in the lobby of the State College Municipal Building. Vendors sell items such as grass-fed local beef, free-range eggs, Amish dairy products, wine, seasonal produce, and more.